MultiBrief: Should the sickest patients be removed from transplant lists? Should the sickest patients be removed from transplant lists? Transplant centers are removing the sickest patients from waiting lists following changes in federal policies that govern performance standards. A study from the University of Massachusetts Medical School showed 4,300 people with life-threatening liver diseases were removed from American transplant waiting list between mid-2007 and 2012. That's almost twice as many as the 2,311 removed in the prior five years. The findings were published online in the Journal of the American College of Surgeons. Prompting the move to remove "too sick to transplant" patients was a 2007 change in regulatory policy by the Centers for Medicare and Medicaid Services (CMS). The policy set expectations for safe, high-quality transplant services in Medicare-participating facilities. If the facilities do not meet performance standards, they risk losing Medicare funding as well as coverage by private insurers. Ultimately, the centers could close if standards are not maintained. However, the study found only a slight change in the one-year post-transplant survival rate. Researchers found the one-year patient survival rate increased from 86.6 percent before the new policy to 88.5 percent afterward. "Although the policy was a quality improvement initiative designed to improve transplant patient outcomes, in reality, it failed to show beneficial effects in the liver transplant population," said Natasha Dolgin, a UMass Medical School M.D./Ph.D. student who led the research. Following the new CMS policy, there was a 16 percent increase in liver transplant candidate "delisting" because of patients becoming "too sick for transplant." The rate increase by 3 percent per quarter through the end of the five-year study. Cirrhosis, or scarring of the liver, is the most common reason for liver transplant. The condition is usually caused by hepatitis C or alcoholic liver disease. Patients' illnesses are evaluated based on their Model for End-Stage Liver Disease score. The score can range between 6 and 40 and predicts the risk of death within three months. 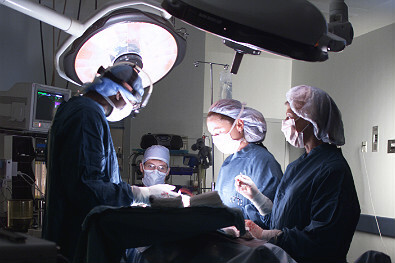 In 2014, 6,729 liver transplants were performed. Nearly 1,825 people died while waiting for a liver, and 1,300 people were removed from waiting lists because they became too sick for a transplant. Delisting might become necessary if a patient's health deteriorates or they develop an infection. Patients taken off the waitlist following the CMS policy change were more likely to be older than 55 and have more severe liver illnesses. "There's no common definition for when someone is too sick to transplant," Dolgin said. Even so, Dolgin said transplant centers can't be blamed for their waiting list decisions. "Once there is a benchmark, you try to meet that," she said. Some are looking at the changes in a different light. "Maybe centers are making the internal decision of trying to choose the best candidates," Dr. David Goldberg, medical director for living donor liver transplantation at the University of Pennsylvania, told NPR. Because liver transplants are quite complicated and survival rates didn't improve during the study might show there are complications that are simply not preventable, Goldberg said. CMS told NPR it was reviewing evidence and will assess impacts on organ donation centers.